Do you want to write a mystery but don’t have a clue where to start? Or maybe you’ve begun a whodunit but are stuck on the plot? Perhaps you’re already writing a series, and you need tips on how to keep track of your material? After hearing numerous aspiring writers ask for advice on how to write a mystery, I decided to compile an easy-to-read instructional booklet on this needed topic. What makes a cozy different from other crime fiction? How do you plot the story? Where does your sleuth originate? How do you plant clues? 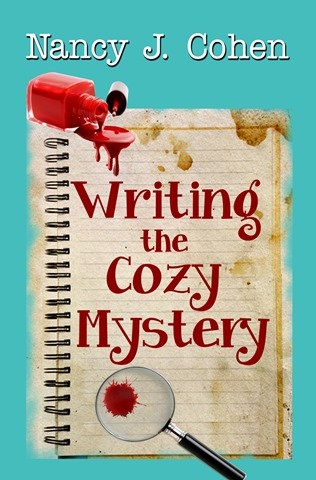 The answers to these questions and more are in Writing the Cozy Mystery. This title is now available on Amazon but will appear soon in multiple digital formats, including Nook, Kobi, iBooks, & SW. A print edition is coming next. Please keep watch on my website for links to these editions.